Climate has not remained the same throughout time. 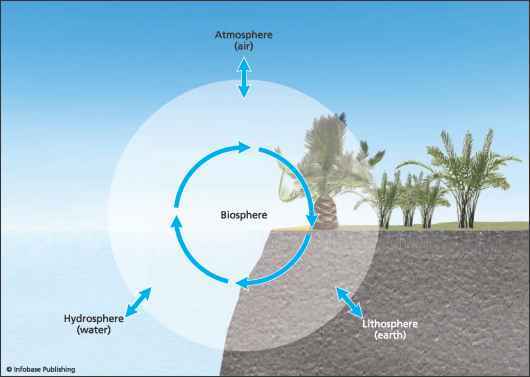 Many natural phenomena have had their effects on the Earth's climate on different timescales: on tectonic scales are the slow movements of the Earth's continents—a process called plate tectonics (discussed in greater detail in chapter 3), on orbital scales are the orbital variations of the Earth, its eccentricity, tilt, and wobble (discussed in chapter 5); on millennial scales, ice ages, and on centennial scales, droughts. 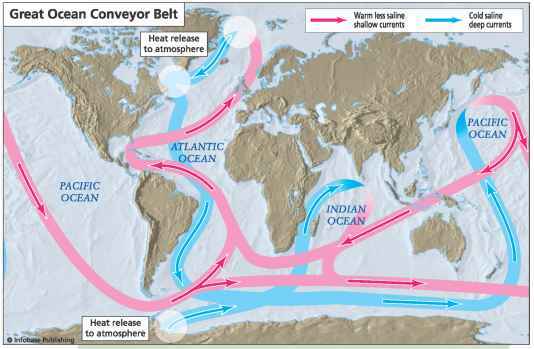 The thermohaline circulation, or ocean conveyor belt, is the principal mechanism for transporting heat from the Tropics to the polar regions. If the conveyor belt were to shut down, it could cause Europe to enter a severe cold period and disrupt climate around the world. (such as a drought). The longer the timescale, the bigger impact the process has on a global scale (such as plate tectonics).